Prepare youth for their eventual economic self-sufficiency, facilitation of summer youth employment opportunities. Children and youth will demonstrate good citizenship as law-abiding, contributing members of their families, schools & communities: by youth participation in constructive leisure time activities. Children and youth will have optimal physical and emotional health (ie. Emotional health and free from health risk behaviors). New York State communities will provide youth and their families with opportunities to help them meet their needs for physical, social, moral and emotional growth: through communities making available/accessible formal and informal services. To accomplish our mission the County Youth Bureau funds an array of programs, based throughout the county. A list of contacts, for the programs listed, may be found on our Directory of Service Links page. Communities within our county have formed joint recreation programs. Commission free of charge. 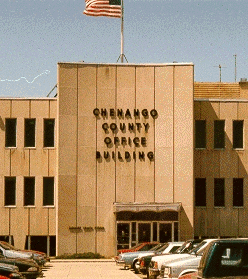 We encourage you to take advantage of what Chenango County communities have to offer.